Directions: Use as a snack, alone or paired with nuts and cheese. 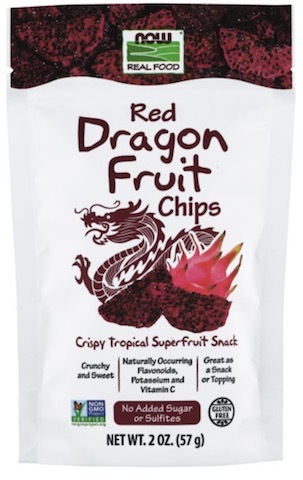 Our Red Dragon Fruit Chips are a delicious addition to yogurts, cottage cheese, smoothies, cereal, and salads. Store in original sealed container in a cool, dry place.